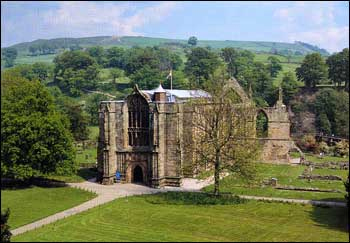 Bolton Priory is one of the finest medieval churches in the north of England. Since its foundation in the twelfth century, it has been a site of continuous Christian worship, surviving Scottish raids, the Black Death, the Dissolution of the Monasteries and the religious turbulence of later centuries. Throughout the centuries, men and women have been baptised, have married, have worshipped and have been buried within these precincts. Untold numbers from within the parish and far beyond have come here to feel God’s presence in prayer. These pages describe the Priory’s history, how it has been represented in times past in art and poetry, and how it appears in times present.